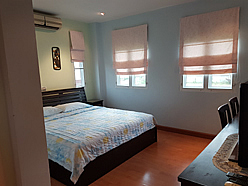 The studio (about 50 square meters total) consists of a living / sleeping area with a separate, walk-in closet / dressing room. 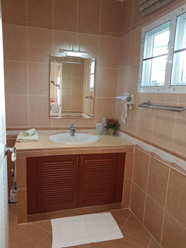 The bathroom, with central hot and cold water supply, is equipped with a jacuzzi, a steam and massage shower, 2 sinks and a wall-mounted toilet. 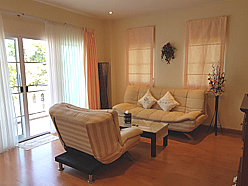 The sofa in the living area can be converted into a full and very comfortable bed, as an extra bed for a third person. 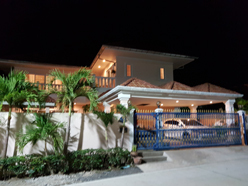 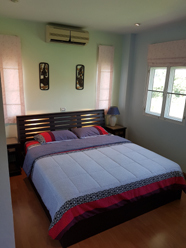 Further features include a 49-inch LED Smart TV with Internet and media server access, air conditioning, an electric kettle, a large fridge and a safe. 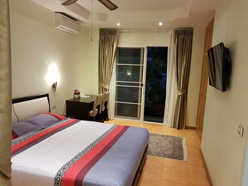 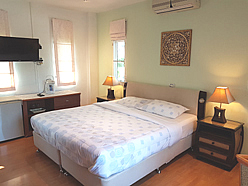 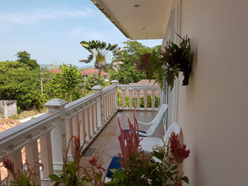 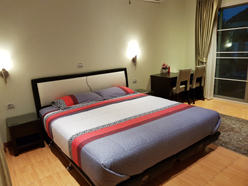 The double room (25 sqm total area) is located on the ground floor. 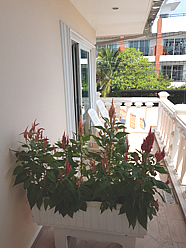 It has a separate entrance on the house side and a direct exit to the terrace with pool. 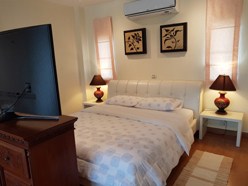 It is equipped with a very high quality bed / mattress (Sealy), built-in closet, desk with 2 chair chairs. 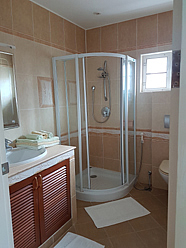 The bathroom, with central hot and cold water supply, has a shower / rain shower, a vanity and a designer toilet. 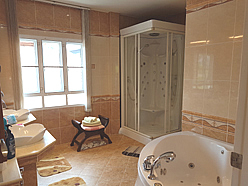 Further features include an LED TV with internet access, air conditioning, a microwave, a fridge and a safe. 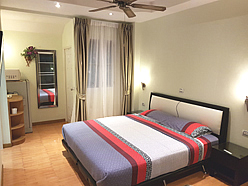 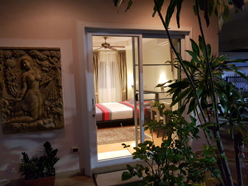 The double room (25 sqm total area) has a built-in closet and a seating area next to the balcony. 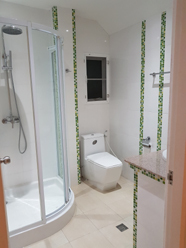 The bathroom, with central hot and cold water supply, is equipped with a shower cubicle, a vanity and a wall-hung toilet. 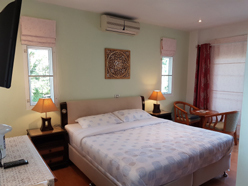 Further features include an LED TV with internet connection, air conditioning, an electric kettle, fridge and safe. 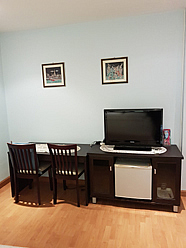 The double room category 3 (about 23 square meters total) has a built-in closet and a seating area. 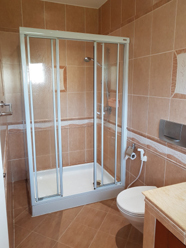 The bathroom, with central hot and cold water supply, is equipped with a shower cubicle, a vanity and a wall-hung toilet. 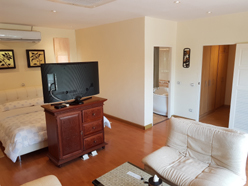 Further features include an LED TV with internet connection, air conditioning, electric kettle, fridge and safe.